Negotiating and adhering to Service Level Agreements (SLAs) is more important than ever, with the increasing complexity of websites, applications, and software services. AlertSite helps service providers and consumers alike, by effortlessly setting up smarter SLAs and enabling you to ensure that they are adhered to. 24x7 monitoring of 3rd party apps and public APIs. SLAs are highly subjective to your business and unique use cases, but AlertSite makes SLA creation and management very easy. 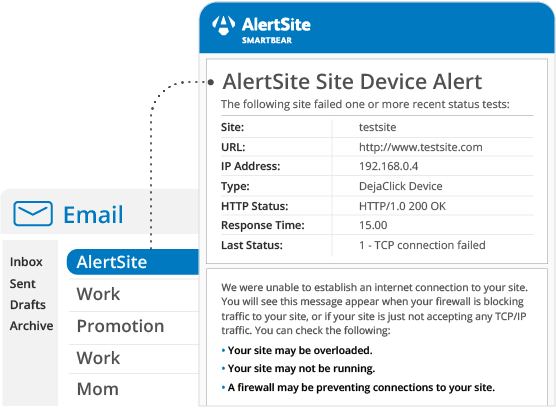 Create monitors for your key APIs and web, mobile or SaaS applications or set up alerts to instantly detect SLA breach. 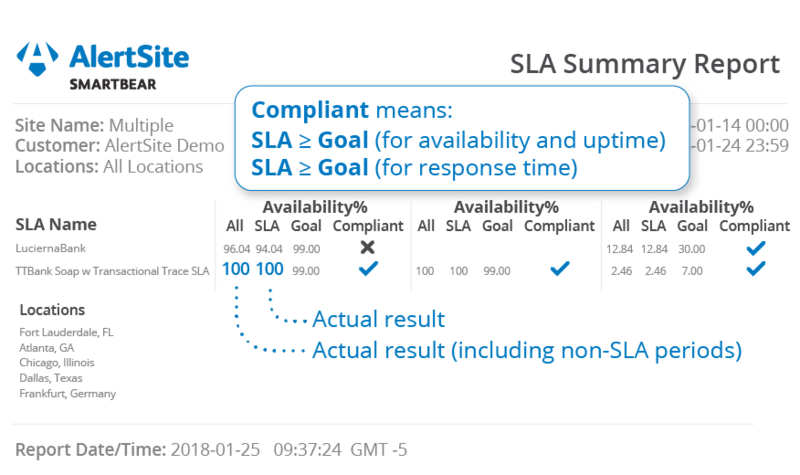 Set service level objectives for availability, uptime and response time. Know immediately when performance deviates or starts to deteriorate. 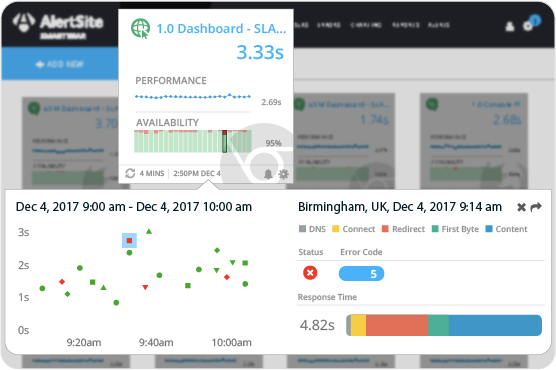 With real-time, intelligent alerts you can ensure you meet every SLA. 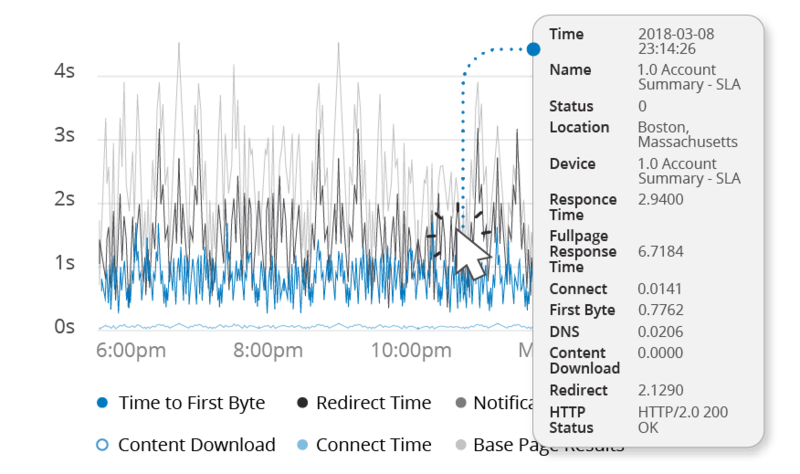 AlertSite's advanced alerting and reporting mechanism helps you get instant actionable insights from your monitoring data. Our alerts are the fastest - sent directly from the monitoring nodes, with customizable recipients, routing paths and notification methods. AlertSite integrates with leading incident management and operational intelligence platforms to help you resolve issues faster and get real time visibility into business and IT metrics. AlertSite SLA features can be used to ensure that your 3rd party application or API vendors are delivering the service they agreed to. By proactively monitoring the 3rd party apps or public APIs for availability, performance and functional correctness, you can negotiate better SLAs with your vendors and hold them accountable in case of failures or performance degradations. Your customers demand application quality 24x7. But a scheduled downtime shouldn’t skew your overall availability or performance goal. Our SLAs account for non-business hours, scheduled downtimes and blackouts. You may include defined Operating Periods, time periods when the SLA is in effect, and Exclusion periods, when the SLA is not in effect.